Steven Sasson was the pioneer and driving force in the development of both the digital camera and the DSLR. 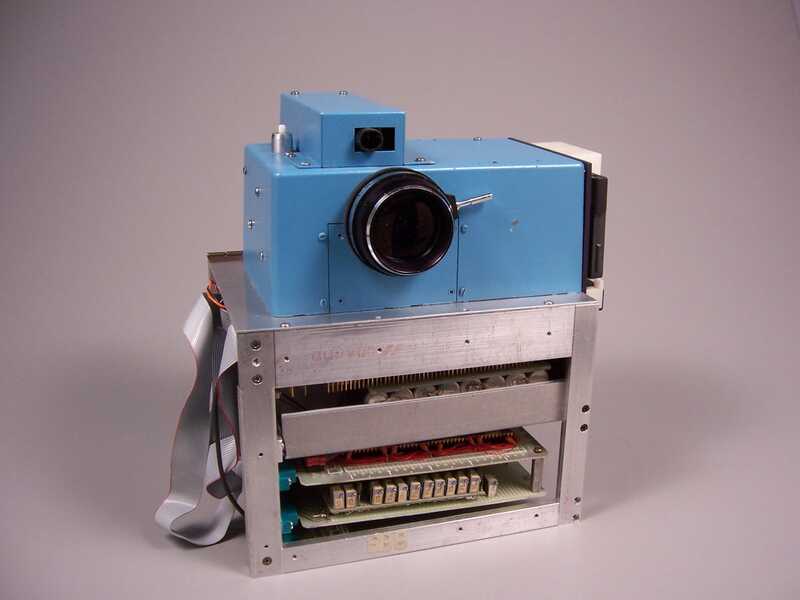 He invented the first digital camera while working for Eastman Kodak in 1975. Seen below is Sasson’s first generation digital camera, as you can see, it was quite large and weighed approximately 8 pounds. Not exactly as portable as today’s digital point and shoots or DSLRs. Steven Sasson’s original digital camera. In 1989 along with Robert Hill, Sasson created the Kodak ECAM D5000. It was the first version of the modern day DSLR (Digital Single Lens Reflex) camera. The digital imaging (capture) sensor Sasson developed replaced film which ultimately changed the landscape of photography forever. 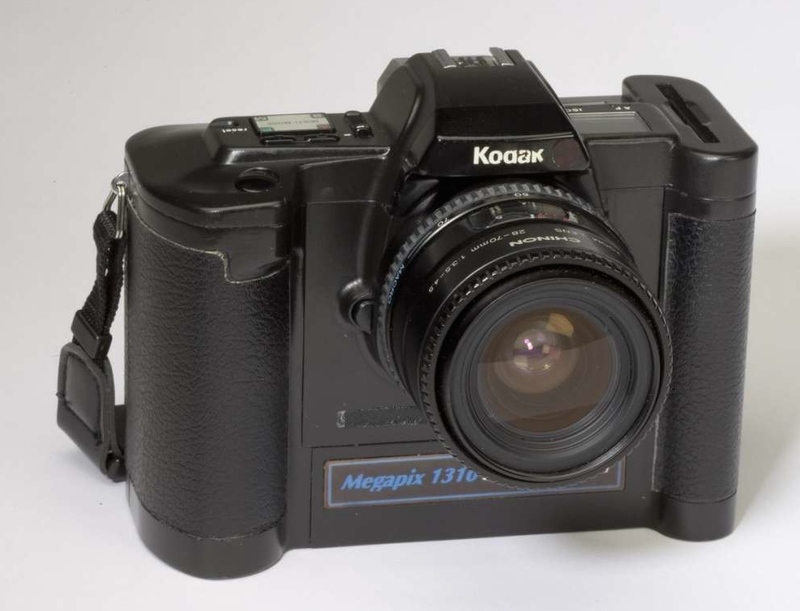 The imaging sensor was considerably smaller than the 35mm film plane that SLR users had become accustomed to. It was only 13 years later that Canon manufactured the first capture sensor that was the same size as 35mm film. 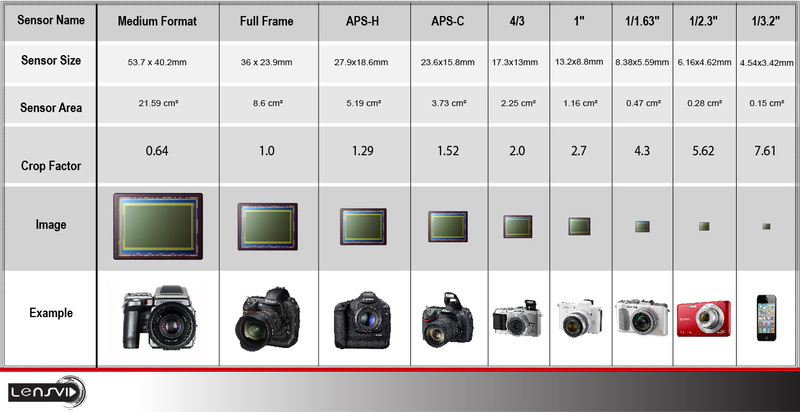 The new sensor size clearly marked the distinction between a full frame sensor and a crop or APS-C sensor that is used by camera manufacturers in the production of consumer DSLR models. Full Frame DSLRs are manufactured for the professional user. What are the benefits of full frame sensors? Made for the Professional. Unfortunately, camera manufacturers do not make DSLRs with all the bells-and-whistles in the popular APS-C sensor format. The lack of features clearly defines the separation between their professional and amateur models. Yes, APS-C models are adequate for most amateurs, yet may be somewhat limiting for the avid photo enthusiast or professional who may requite or consider the higher-end features available of the professional models. Depth-of-Field. Depth of Field is somewhat limited when using a crop sensor camera because the sensor size affects depth-of-field. Because a Full Frame sensor is considerably larger, it can produce images with more shallow depth of field than that of a crop sensor. Low-light performance. Imagine a disco ball made up with tiny mirrors. The tiny mirrors reflect light. Digital imaging sensors are similarly constructed using many little sensors that record light and convert them to pixels. The tiny sensors are known as photosites. Naturally, the more photosites, the more pixel information can be gathered. Similar to recording sound on audio tape, if you record the same information on an old cassette deck that recorded and played back at 1 ¾ ips (inches per second) compared to 30 ips the information recorded at 30 ips will be clearer and have far greater detail. This same concept explains why full frame sensor DSLRs perform better (less digital noise) at higher ISOs. Full use of lens focal length. Unlike a crop frame DSLR, Full frame DSLR cameras use lenses are capable of utilizing the full focal length of each lens placed on its body. What are the drawbacks to full frame DSLR sensors? Cost: Full frame DSLRs have larger imaging sensors than crop frame DSLRs and simply cost more to produce. Weight of camera body. Although constructed with the larger imaging sensors, it adds little to the weight of the camera. Full frame lenses require sturdier bodies to accommodate heavier lenses that ultimately add to the overall weight of DSLR cameras. What are the advantages to crop frame sensors? Available lenses: There are no issues using lenses designed for full frame DSLRs will work properly on a crop frame DSLR, the reverse, however, is not true and is quite noticeable when you attempt to create images. As such, it is safe to state that there are a wider variety of lenses that are available for use with crop sensor DSLR cameras. Difference between Crop and Full Frame sensor when using same lens. Field of view: An advantage of the crop frame DSLR is the ability of using a full frame lenses. The example shown demonstrates how the same lens captures the scene when used on both full frame and a crop sensor. There is a perceived increase in focal length by an average of 1.5x when using lenses designed for full frame bodies on a crop frame DSLR. This means a focal length of 35mm (full frame lens) on a crop frame body will render a focal length equivalent to a 53mm lens. Stop by Larmon Photo or Foto Forum and speak with one of our experts to help you determine the right camera and lenses to suit your needs or visit us online at www.larmonphoto.com.